Introduced from Europe, orchardgrass is a cool-season perennial bunchgrass. It’s used for pasture and hay, and produces high-quality palatable feed for all types of livestock. 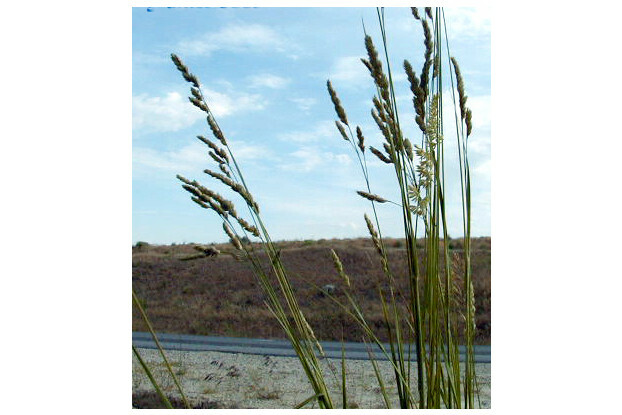 Orchardgrass can grow up to five feet tall and prefers well-drained soils and is more tolerant of shade than other pasture grasses. Excellent summer regrowth potential. It can be grown without irrigation in areas receiving at least 15 inches of annual precipitation. It performs particularly well when partnered with legumes. Not very cold hardy, but does well under sufficient snow cover.